Bathrooms, Home Offices and Libraries. 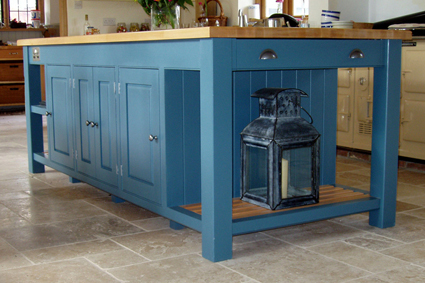 Designer and maker of quality bespoke handmade fitted and free-standing furniture. 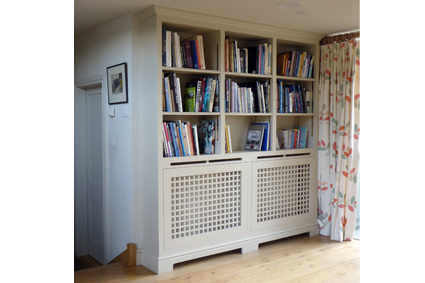 With 4 years training as a Product Designer and 25 years experience as a specialist joiner, I can advise you exactly how to get the most from your space and can create an outstanding piece of furniture that is specifically designed for you and your lifestyle. Starting from initial briefing, through design and fabrication I can provide a thorough and personal service, whether in discussing and understanding your requirements or in liaising with other tradesmen. 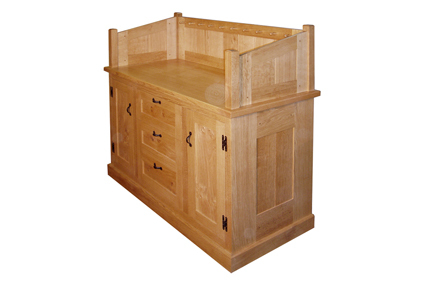 Whether it's kitchens, wardrobes, bookcases, sitting room cupboards, home offices, radiator covers, bathroom furniture or something completely unique, I will provide a craftsmanlike and professional job. I am happy working in hardwoods, softwoods, man made materials and any combination of them to produce a piece of furniture that will fit your budget. 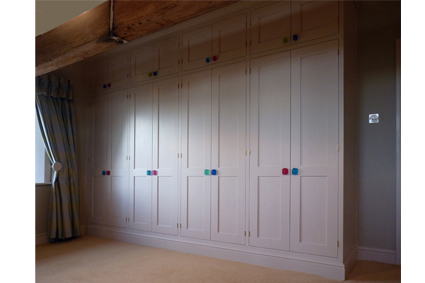 I am able to provide various quality finishes myself, recommend reliable decorators or simply install un-decorated furniture ready for decoration by you or your own tradesmen. Based in the heart of the South Downs National Park in West Sussex and serving the immediate local communities of Midhurst, Petworth, Haslemere, Chichester and the villages of the Rother Valley, and a wider area of Hampshire, Surrey, and South London.